Harper made the Twins’ bullpen after a strong spring training, as he didn’t allow a single run over 11 innings. That production has leaked into the regular season. In six appearances this season for Minnesota, Harper has fanned five hitters and walked two, not allowing a single run in the process. Harper isn’t your typical, hard-throwing reliever. Harper throws his curveball 53.4% of the time, a pitch that clocks in at an average of 72.8 miles per hour. The pitch is so beautiful that Harper’s 69 mph breaking ball that whiffed Toronto’s Billy McKinney on Monday night caught the attention of MLB's Twitter account. Harper isn’t pitching like a guy who made his MLB debut -- at age 30 -- just 16 days ago. Thielen got paid. 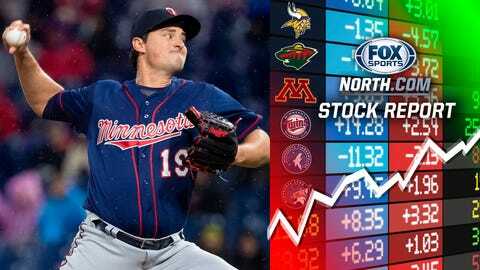 After posting back-to-back 1,000-yard seasons, the Detroit Lakes, Minn., native signed a four-year extension worth over $64 million. He and Stefon Diggs, who agreed to a five-year extension last summer, will lead the Minnesota Vikings’ receiving corps for years to come. Rosario, the Twins’ best hitter in 2018, took a bit to get going this season. Hitless through three games and hitting .063 through four, Rosario looks like he’s hit his stride. 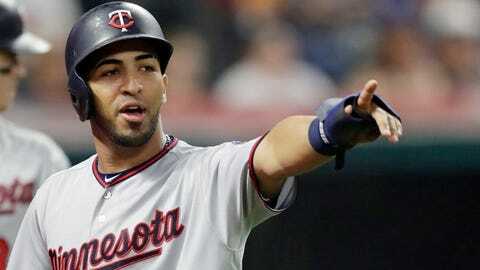 Over the last 10 games, Rosario is batting .351/.400/.757 with 13 hits, four homers, three walks and 13 RBI. Rosie has tallied multiple RBI in five of the last eight games, proving to us he’s the same run-producing outfielder we’ve seen the past few seasons. The talk around college hockey coming into the NCAA tournament was all about Minnesota. After all, the State of Hockey boasted the reigning national champs and the top three seeds in the tournament -- St. Cloud State, UMD and Minnesota State. While St. Cloud State and Minnesota State disappointed with shocking first-round losses, the Bulldogs did not. 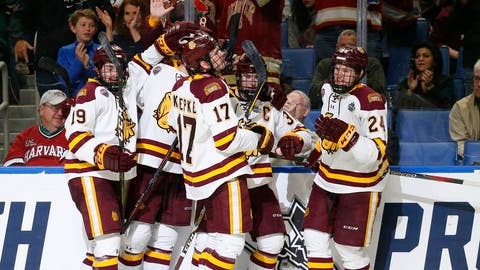 Minnesota Duluth repeated as champions, the third national title in program history and the ninth team to do in back-to-back years. 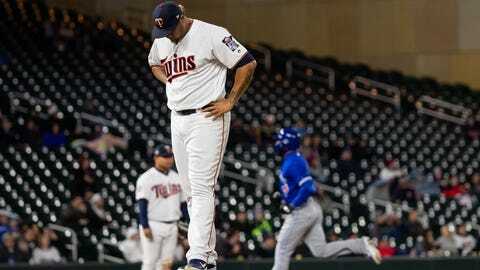 Mejia entered Monday’s game in the eighth inning with the Twins leading 3-1, just six outs away from their ninth win of 2019. But Mejia allowed four straight hits: a single, double, single and a three-run homer, handing Toronto a 5-3 lead at Target Field. It’s been a rough April for Mejia, who’s allowed eight runs in his last four appearances (4 2/3 innings) and has five walks compared to just eight strikeouts, as well as a 9.39 ERA on the season. The Vikings’ quarterbacks room got a bit more crowded this week. 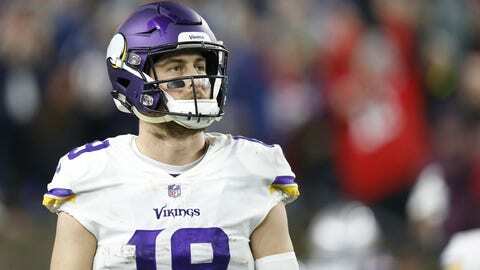 Sloter, the Vikings’ third-string signal caller last season behind Kirk Cousins and Trevor Siemian, will have to fight yet again for the backup position in 2019 after Minnesota signed veteran Sean Mannion. 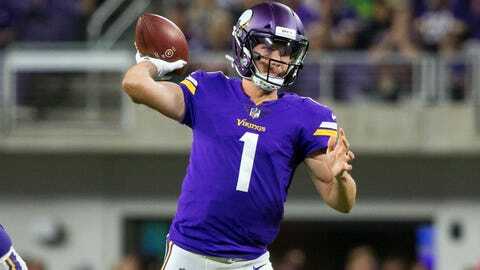 Sloter has done nothing but impress in the preseason, throwing for 779 yards, seven touchdowns and zero interceptions in eight exhibition games from 2017-18, but it looks like he’ll have to impress again in August to have a shot at the QB2 position.